La maison Renault & Co garantit que ses Cognacs sont le produit naturel des vins récoltes et distillés dans la region délimitée de Cognac (Loi du 6 Mai 1919). Ils sont expédiés sous acquit ou congé Régional Jaune d'Or. 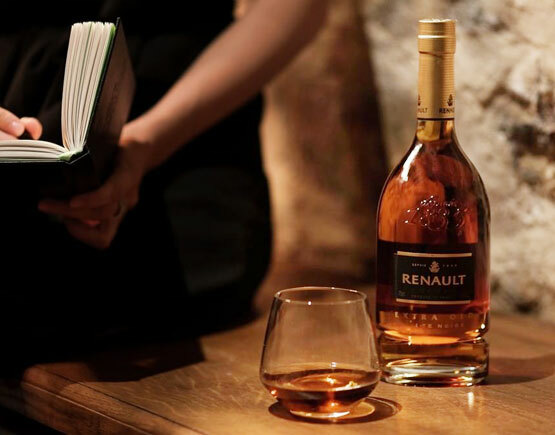 From the beginning, Renault Cognac has been made in keeping with true Charente tradition. After the harvest and vinification, the wines are double distilled in keeping with this special distillation process. Only the heart of the distillate is kept to make up Renault eaux-de-vie which comes from the best crus (growing areas) of Cognac. 1930: Mahatma Gandhi sets off on a 200-mile protest march towards the sea with 78 followers to protest at the British monopoly on salt; more will join them during the Salt March. Mahatma Gandhi is arrested again. Haile Selassie is crowned emperor of Ethiopia. Jean Antonin Renault, a 25-year-old Charentais businessman created Renault Cognac in the town of Cognac in 1835. He enjoyed a reputation as an innovator who appreciated true quality. Renault was the first cognac maker to ship his cognac in bottles which guaranteed that the cognac kept its original taste and delicate flavours. Renault was a great voyager and he started to sell cognac during his travels to Scandinavia, Germany, Eastern Europe, Iceland, the Americas and Asia. The flagship of Renault Cognac House is the iconic Carte Noire blend which received a registered trademark in the United Kingdom in 1876 – making it one of the oldest cognac recipes still in use. Today, Renault Cognacs are still produced in the spirit of Jean Antonin Renault in the heart of the Cognac region. 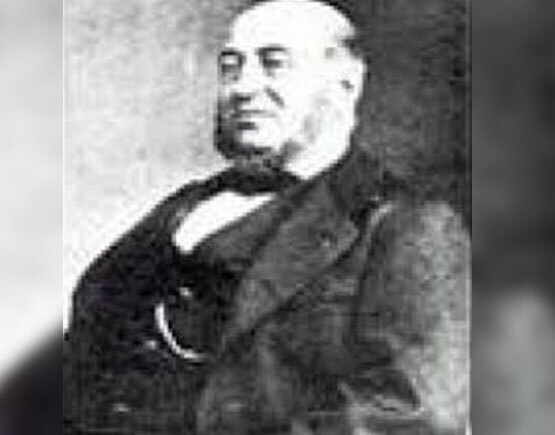 Jean Antonin Renault, a 25-year-old Charentais businessman, created Renault Cognac in the town of Cognac in 1835. He enjoyed a reputation as an innovator who appreciated true quality. 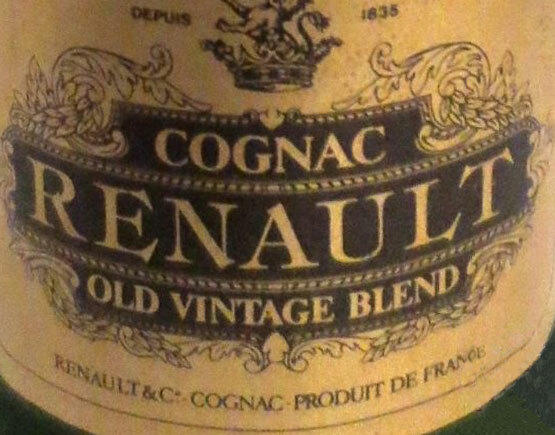 Renault was the first cognac maker to ship his cognac in bottles which guaranteed that the brandy kept its original taste and delicate flavors. Renault was a great voyager, and he started to sell cognac during his travels to Scandinavia, Germany, Eastern Europe, Iceland, the Americas, and Asia. Renault combines high-quality standards with a long tradition, and today all Renault Cognacs are still produced in the spirit of Jean Antonin Renault. Excellence, according to Renault & Co, means that they control the whole production from grape growing to bottle. Blending is the essential part of the process when making excellent cognac. There is a massive amount of barrels of Eaux-de-vie in Renault cellars, and the aromatic palette is enormous, creating the ideal balance of taste and aroma is craftsmanship in its most elegant form. For example, the production, Renault Carte Noire cognacs are produced by blending more than 50 different, carefully selected Eaux-de-vie. The grapes from the specific crus have a significant impact on the flavor and characteristics of the cognac: Grande and Petite Champagne offer rich, complex and very floral aromas, Borderies are very elegant with notes of violet, Fins Bois and Bons Bois are very fruity and expressive in young Eaux-de-vie. Renault Master Blender David Croizet guarantees that Renault maintains its distinctive flavor year after year. 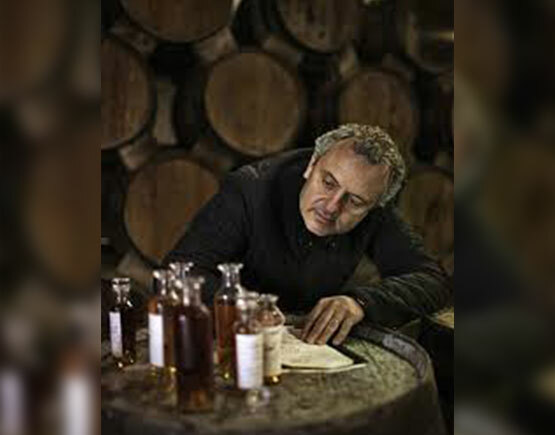 Master Blender carefully chooses the vineyards that Renault uses as well as the best distilleries to have the best Eaux-de-vie to elaborate the best cognacs. And of course, Master Blender’s experience, intuition, and passion are especially crucial when finding the right selection of Eaux-de-vie from different vintages and growths. As said, blending makes the difference. The aging process is essential to transform an eau-de-vie into a cognac. 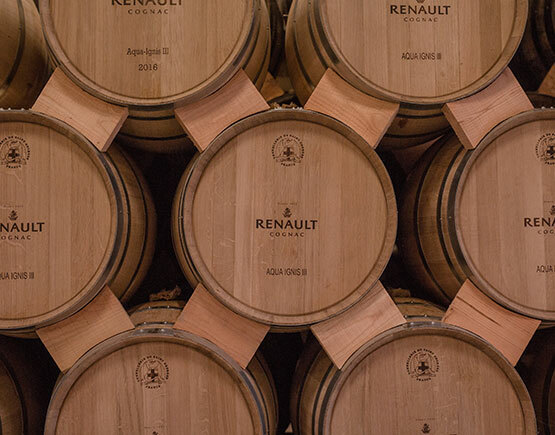 Renault cognacs start the aging process in new barrels which give the eau-de-vie its rich amber and gold color and help develop flavor and aroma. After six months, the eau-de-vie is held in older barrels which concentrate the aromas and create new characters, richness, and complexity. The process of storage and aging in older barrels lasts up to 50 years. Renault always had a reputation for its unique blending style: The iconic Carte Noire blend was created in 1876 – making it one of the oldest cognac recipes still in use. Today, Renault Carte Noire Extra Old is even blended using this same recipe. 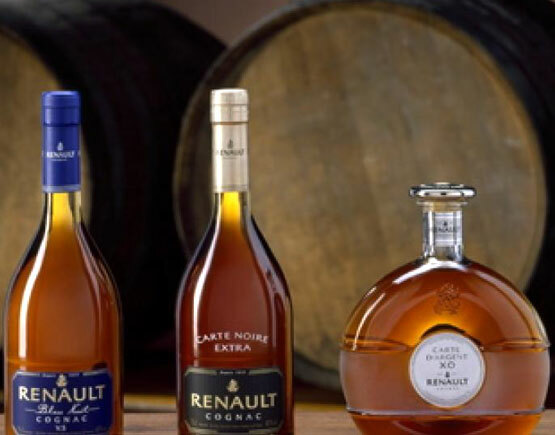 As a result of this unique history, Renault Carte Noire has been and still is the reference point for quality among cognac connoisseurs around the world.